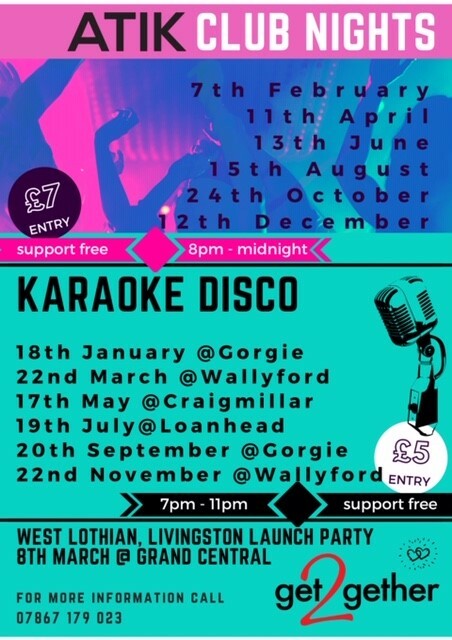 We host karaoke discos at different venues across the Lothians every second month. They are always brilliant fun. 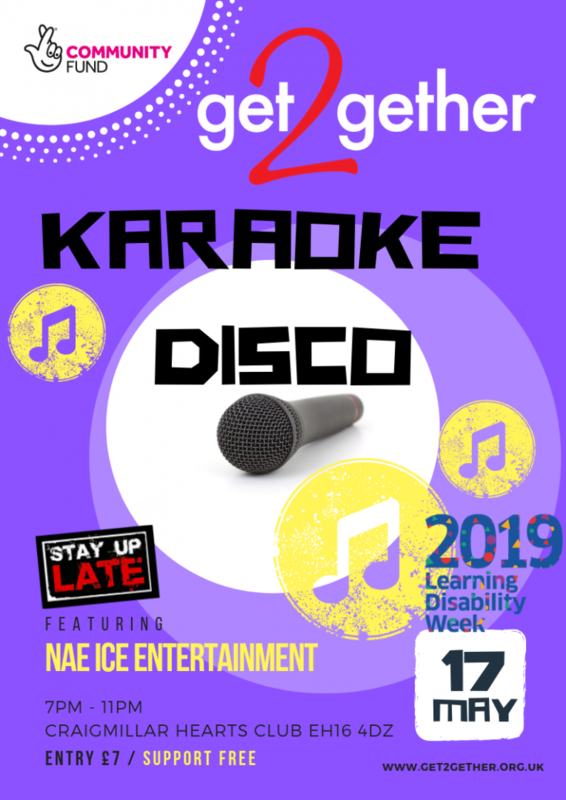 Join us in May for our special Learning Disability Week Karaoke event at Craigmillar Hearts’ Supporters’ Club. We also hold club nights at the ATIK nightclub in Edinburgh. These nights attract big crowds and feature banging tunes from our own get2gether DJ collective led by DJ Andy from Nae Ice Entertainment. Get your glad rags and dancing shoes on and come and join us! Gorgie: 20th September; Wallyford: 22nd November. 7th February; 11th April; 13th June; 15th August; 24th October; 12th December.